Course Description: Students will be reading through the book of Matthew and the historical Old Testament books from Genesis to Esther. We’re going to start the year off with reading one of the gospels. We’ll do this every year. This year we’ll read Matthew and then we’ll go back to the beginning and start reading in Genesis. Tell the story to a parent. The list of names shows the generations from Abraham to David to Jesus. Tell to a parent the story of Joseph that you read today. Christ means “anointed one.” We will read this year about how kings are anointed with oil to show they are chosen. Jesus is anointed by the Holy Spirit, choosing Him as the leader of Israel as was prophesied hundreds of years before by Micah. Are you an anointed one? Do you belong to Christ and serve His people alongside Him? John the Baptist didn’t think he should be baptizing Jesus, but Jesus told him it was the right thing to do. Jesus gave us the example and we are to follow in His footsteps and be baptized as well. It’s not something to be afraid of. It marks the beginning of our life of following Jesus. We read about the baptism of the Holy Spirit more in the book of Acts. Actually, it says that Jesus will baptize us with Holy Spirit and with fire. Some people think they are one and the same since the Holy Spirit came down on the church appearing as fire. I think it’s possible fire could also mean trials and tribulation. Tell a parent or older sibling how Satan tried to tempt Jesus and how Jesus responded to him. Jesus and Satan both use Scripture. Satan can use Scripture but twist it or use it out of context. Not everyone using Bible verses is telling you the truth. Even the KKK used the Bible. However, the Bible tells us that our sword to fight with is God’s Word. Jesus uses God’s Word to tell Satan to back off. Memorizing verses puts a sword in your hand to help you fight off temptation. In the third part, realize that the disciples walked away from providing for themselves. They left their jobs and they left their families. They had to trust God to take care of them and their families. If God calls you to leave your work, He will provide for you. Our family has seen it happen! Go to this Bible map to see where these things took place. Who is blessed? You can insert the word happy instead of blessed. Look at the first twelve verses. These are called the Beatitudes. Are you any of these things? What are you not? If there are some you don’t understand, ask a parent about it. It should be your desire to be like Christ who is all of these things. And being like Christ comes with persecution. Do you think you could rejoice that you are persecuted? What do you think is the most surprising sentence in this chapter? Write what it says and why it is shocking. Copy Matthew 6:9-13. Hang it up where you will see it and work on memorizing it this week. Memorize The Lord’s Prayer (verses 9-13) if you don’t already know it. In God’s economy it is more beneficial to give than to get for yourself. In the end you will be richer if you give. It doesn’t make sense to the world. We think, “If I give away my money, I will have less for myself.” God works in the opposite way. If we give, we have “stored up” for ourselves riches in heaven that we can bank on in faith, trusting God to provide for us whenever we need it. And as a bonus, we will be rich in faith. If we keep our money to ourselves because we think we have to rely on ourselves to provide for ourselves, then we risk losing all of our money to “moths,” “rust” and “thieves.” (Do you see all of the “our”s and “ourselves” in there? This is selfish self-centered thinking. We are to love others as we love ourselves. There are some people who give away half of the money they make so that they can obey the Scripture to love others as they love themselves. Read Matthew 7:7-14 and 7:24-29. Keep scrolling down to read both. The first section of this reading is about not being a hypocrite. Don’t point out little sin in someone when you have major sin in your life. It doesn’t mean that we aren’t to point out sin. We are to help each other see the truth, but it has to be because we love that person and want the best for them. We are not to point out sin in others lives, trying to make ourselves look better because we are covering up our own sin. Do you understand that? Ask a parent to explain if I didn’t do a good job! Draw a picture to illustrate verses 13 and 14. What are the people on the broad road doing? the narrow road? Let’s compare and contrast these stories. That means to find what they have in common and what’s different about them. What are some things that they have in common? (answer: Jesus healed someone, someone came to Jesus asking for healing, they both believed that Jesus could heal) Did you find some that I didn’t? What are some things that are different about the stories? (answer: Jesus touched the one man to heal him and the other he healed just by speaking that he was healed, one man was a Jew and the other was a Gentile (not a Jew), one expected Jesus to heal the other wasn’t sure if Jesus was willing to be healed) Did you find some that I didn’t? I’m going to point out two things first. One, Jesus touched the leper. He was an outcast. He had to live outside of town because people were afraid to be near him, let alone touch him. They were afraid of getting the disease. He hadn’t been touched in years. Jesus didn’t have to touch him to heal him (we see in the next story), but He showed love to the leper by touching him. Two, Jesus had “no where to lay His head.” Jesus was a homeless man. Think of that the next time you see a homeless person. Think of that the next time a preacher says God wants us to live like kings because Jesus was a rich man. God will always give us what we need if we trust Him for it. He may give us lots of money, but it’s not for spending on ourselves. It’s for giving away. “It is impossible for a rich man to enter the kingdom of heaven” and “The poor are rich in faith.” Which would you rather be? Choose what you think is the most important lesson and explain it including Scripture. *Print out this sheet (compassion)and write on each line someone you should have compassion on. s could be soldiers, p could be people without homes, or they could just be names. What is the harvest? Whose “field” is it? Pray that the Lord would send more workers into the harvest. Choose your favorite part of this chapter. Write the Scripture and share why it is your favorite. What lesson can you take away from it? What question do you have about today’s reading? How many of the 12 apostles can you name? If you can’t name them all, go back and find who you are missing. The last sentence in this section is, “You have received freely, so give freely.” What does that mean? What have you been given that you should be giving? What do verses 28 and 38 mean? Write out your answers or explain to a parent. What question do you have about the reading today? In your reading today, you read that John has his disciples ask Jesus if He is the Messiah. Jesus doesn’t say yes or no. He answers that he has healed the blind, the lame, the deaf and the leper and that He is preaching the gospel (good news) to the poor. Why did he say those things? Jesus was telling John that other Old Testament prophecies were being fulfilled. The Old Testament prophets said that a Messiah or Savior would come and heal and preach the gospel to the poor. Read Isaiah 35:5-6. Read Isaiah 61:1. Do those verses sound like what Jesus told John? Do you think John understood Jesus’ message? What do you like about verses 25-30? What do you have questions about? Tell someone the story you read today and explain what it means that God wants mercy and not sacrifice. There is another prophecy fulfilled in this chapter. Read the footnote to see what Old Testament scripture is fulfilled. What question do you have from this chapter? Do your best to answer it or ask someone. Read Matthew 13:1-9, 18-23. Scroll down to read the second part. Draw a picture of the parable and then explain to someone what the picture means. What lesson do you take away from a parable in this chapter? What’s the lesson, what parable taught it and how does the parable shows the lesson? Tell a parent or older sibling what happened in this story. God can take whatever you have to offer and turn it into a big blessing. But first you have to offer what you have. What do you have that you could give? It could be money or food or toys or it could be things like time and love. You could stop by the home of an elderly neighbor and say good morning. What else could you give that could God could use to turn into a big blessing for you and others? Let me tell you my favorite thing from this chapter. Peter walks on water in faith. He gets scared and sinks. He calls out to Jesus who grabs him. This is it: Peter walks on water again. He has to stand on the water and walk back to the boat with Jesus. When we falter in our faith, Jesus doesn’t give up on us. He aids us. He lifts us up so we can continue our walk of faith. So when things are going really wrong, don’t allow yourself to sink, call on Jesus and He will be there to take you by the hand. The story of the feeding of the five thousand men plus all the women and children is a great example of God’s economy. The world tells us that if we give then we have less. But God teaches us that when we give, we have more. How is that shown in this story? In other parts of the world being clean is THE most important thing. Muslims won’t pray unless they wash themselves first. In Muslim countries being called “dirty” is one of the worst insults. What does Jesus say makes you “unclean?” Explain to a parent or ask if you don’t understand what Jesus is saying. What lesson can you take away from this chapter? What verse shows that lesson? Explain. Verse 24 defines what it is to follow Jesus–to say no to yourself. To pick up your cross and follow Jesus means to die to yourself. You only pick up a cross if you are going to be killed on it. We have to die to ourselves. What does that mean? It means saying no to yourself. Saying no to greed, selfishness, etc. and saying yes to others, loving others instead of ourselves. This is letting Jesus live in and through us. Only by the Spirit can we die to self and live for Him and others. Choose a verse from today’s reading. Copy it and explain what it means and what lesson it teaches you to live by. What’s one question you have about today’s reading? This is a fun story. Remember that earlier, when Jesus was a teenager, he had called the temple, “his father’s house.” Here Jesus is saying that He doesn’t have to pay the tax because it is His father’s house and father’s don’t collect tax from their sons. What does Jesus do to pay the tax? Can God always provide the money you need? There are many, many stories of Christians getting the money they needed at just the right moment, from finding five dollars stuck to your shoe while walking down the street, to having an angel hand you the money. God has plenty of ways of providing. Trust Him to do it! 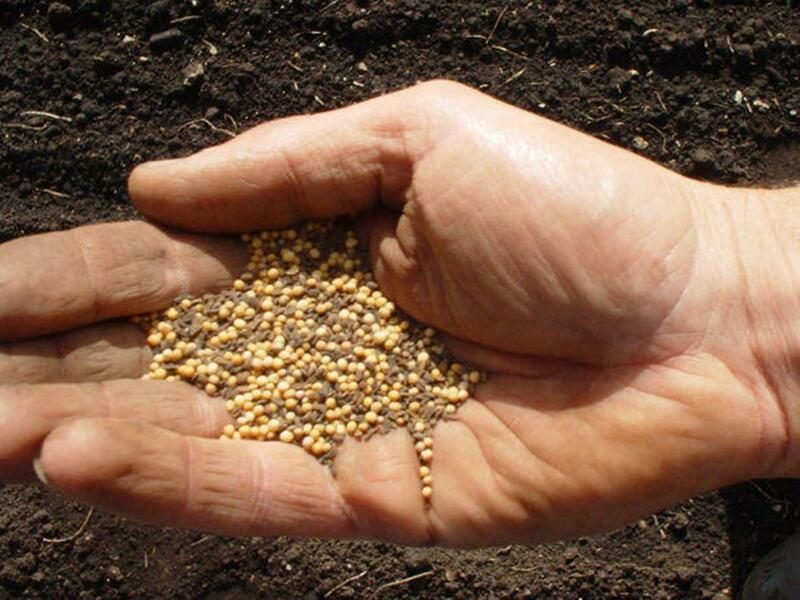 These little balls are mustard seed. Small right? Remember faith is sure. A small amount of faith doesn’t mean a little faith and a lot of doubt. Faith is sure of what it hopes for. No doubt! It knows it will happen. The only way we can know something unseen will happen is because of the truth in God’s word. If God’s word tells us something will happen, then we can believe it and be sure of it; we can have faith. And if we have faith, then we will see it happen. Faith can be hard work, but it unlocks all of the power of the gospel. We are saved by faith. That’s how you get to heaven. Faith. The way to get faith is to know God’s Word and to believe that it is true. If you know His Word is true, then you have faith. What’s your favorite part of this chapter and why? What’s one question you have about this chapter? Tell a parent or older sibling what happened in the story. I want you to focus on verses six through nine. Do you take sin this seriously? Verse six says that tempting someone else to sin is just as bad as sinning. It’s not funny to dare someone or tease someone to try to get them to do something they know they shouldn’t do. You are just as much at fault even if you don’t do it yourself. Even better than cutting off your hand, do whatever you can to flee temptation. If you have a temptation that you feel like you can’t get away from, talk to your parents about what can be done. I know a family that moved to flee temptation. It’s not as extreme as cutting off a body part! Do you take sin this seriously? Do you realize that sin is this serious? What sin do you struggle with? How can you flee temptation in those situations? Is there any way that you tempt others to sin? Do you tempt siblings to disobey your parents? Ask God to help you answer these questions. Verse 28 commands, “Be like Jesus.” How can you live your life to serve others? What are some things you can do every day? What is something you can aspire to do (dream about doing or work towards doing) for others when you are older? What are ways you serve others? What are ways you put others before yourself (making yourself last)? Dream big. If you could do anything to serve others, what would you like to be able to do? In this section we see several more prophecies from the Old Testament fulfilled. God knew exactly what was going to happen. The donkeys were prepared and waiting for him even though the owner didn’t know it! You don’t have to try and do big things for God. All you have to do is be willing and ready to obey Him. People who were not Jews were not allowed inside the temple. They were only allowed in an outer court area of the temple. That’s the place that was given to them to pray. But Jews had set up tables for selling the animals that people use for sacrifice and sold money to people who didn’t have the coins used in the temple. They were making money off of people coming to worship God. Plus, they were making it so that people who weren’t Jews had no place to pray. What are some of the Old Testament prophecies fulfilled in this chapter? What is one lesson you can take away from this chapter? Include a verse and what you can do to practice that lesson in your life. The people who ignore the king’s request to come to the dinner or who kill the king’s servants are the Jews. The servants are God’s prophets. As a whole group the Jews didn’t listen to the prophets and even killed some of them. I wonder what pastors and priests who are called “Father” or “Reverend” think when they read verses 8-10. The most important thing to learn from this is that God cares what’s in your heart. If your heart is good (you love God and love others), then you will do good. If you are only acting good on the outside, eventually your evil heart will show. You can’t pretend forever. What’s a question you have about this chapter? The disciples want to know when the end will come, when Jesus will come back and rule. We are still wondering, wanting to know! He says there will be wars, famine, earthquakes and Christians will be put in prison and killed. But we aren’t to be afraid! It’s all part of God’s plan and He is only allowing it to happen to get His Church holy, ready to be with Him. It says many will turn away from their faith because they will be afraid. We will obey whomever we fear. We need to fear God alone. He’s the only leader who wants to do what’s best for us instead of for himself. Pray and ask God to help you not be afraid. How do you think you can keep watch? When you help people or ignore people, do you ever think about Jesus? When have you acted like a sheep? When have you acted like a goat? What are things you can do to be a sheep? Peter weeps at the end of this chapter. He is sorrowful of his sin of denying Jesus. That’s how you need to feel about your sin. It should break your heart. You shouldn’t be able to sin against God and not have it break your heart. Ask God to let the things that break His heart, break your heart. What lesson from this chapter is significant to you? Explain the Scripture, the lesson and how it affects you. What do verses 18-20 mean to you? Memorize them. When you know it, say it for each family member. Say the Lord’s prayer (from day 6) and Matthew 11:28 (from day 11). We finished reading the gospel of Matthew. Gospel means “good news.” What is the good news that Matthew tell us? We have finished the gospel of Matthew. Gospel means good news. What’s the good news? Write your own much shortened version of the gospel. Print out 2 of these pages of circles (Creation circles). Write Day 1, Day 2, Day 3 and Day 4 on four of the circles. Leave one page blank for today. Draw or write what God created that day. Fill in circles for day 5 (birds and fish), day 6 (other animals and people), day 7 (holy), and you can make a cover with your other circle. Find the Tigris and the Euphrates. Enter Genesis 2. If the site isn’t working, you can look at this map. Tell the story or act it out. The Bible says, “If we confess our sins, He is faithful to forgive us.” (1 John 1:9) We need to confess (tell) our sins to have them forgiven. Don’t be like Adam and Eve. Admit that you did something wrong and ask forgiveness. Do you think Eve held the fruit in her hand and thought God hadn’t told the truth? This is a good warning: we need to know the truth of God’s word. Sometimes verses get misquoted and passed around as truth. You need to know God’s Word for yourself. What does God say in verses 6 and 7? A little historical note. We see the beginning of the use of bronze and iron tools. Some have divided history into three parts: the stone age, the bronze age and the iron age, where each age was the time they made tools out of that metal. Here’s an article discussing how that hasn’t been shown. We can trust the biblical report. Secular historians do put the bronze age at a time that would correspond to the biblical account, but they put the “iron age” later. As we have already seen, people in different parts of the world developed different technology at different times. The article I linked to says, “Modern archaeologists now ack­now­ledge that the Stone–Bronze–Iron Age system is not very helpful outside Europe.” Of course we are not talking about Europe in Genesis 4. Some people like to ask where Cain got his wife. It must have been his sister. God later forbids this when He establishes the law for His people. Why was Cain’s sacrifice not accepted? Later God we read how God requires the “first fruits,” the first of the crop, the first born, and only what’s perfect. I’m assuming God had asked this of them. Abel brings the first of his flock. Cain doesn’t give the first and best. Describe what is happening in verses 6 and 7. Have you ever felt sin lurking there ready to get you? When? Did you give in and let sin win or did you say no and win over sin? What questions do you have about this story? I wonder what they ate on the ark. What do you wonder? Here is the last part of verse 16 from the NIrV version. “Everything happened exactly as God had commanded Noah. Then the Lord shut him in.” Think about these two sentences. What do they mean? What do they mean to you? How can you be comforted and encouraged by this verse? Read Genesis 8:1-4, 13-21, Genesis 9:3-4, 11-15. Keep scrolling down to read more. Find Mount Ararat. Mt. Ararat is marked with a symbol on the right. Read Genesis 8 and Genesis 9. Fill in a Venn Diagram (Venn Diagram no lines). Make observations from these two chapters. On the one side write things about man, not just Noah but people in general. On the other side write things about God. Then in the middle write what observations you can make from these two chapters about the relationship between God and man. Read the beginning and end of chapter 11. Scroll down to read the second part. Say all of your memory verses so far this year. Matthew 28:18-20, the Lord’s prayer from day 6 and Matthew 11:28 from day 11. Just scan chapter 10 to see what it is and read the last verse. Read the beginning and end of chapter 11. Scroll down to read the end part. Verse 6 is the first time we see that we can be saved by faith. Abram believes and God calls it righteousness, doing what is right. Do you know when the prophecy in verses 13 and 14 come true? Find the promised land on the map. People aren’t exactly sure where all those places were, but there is a pretty good idea. Look at the maps in order. Israel is often in the news. There are always disputes over the land of Israel. Who are they fighting with over the land? The Philistines! You will read a lot in the Bible about the Israelites and the Philistines fighting over the land. They still do. Today in English they are called Palestinians. In other languages, though, they are called Philistines. 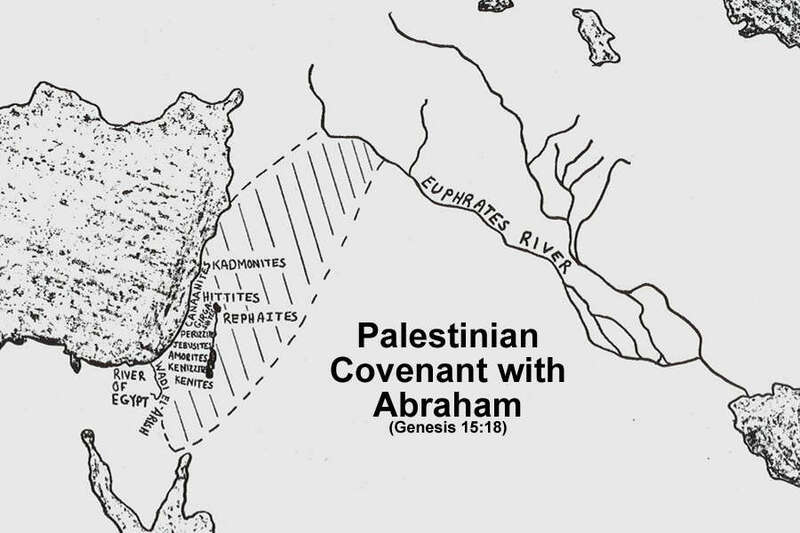 God made this covenant, a sacred promise, with Abram before there even was such a thing as Israelites. We know that in the end the whole land will belong to Israel because God can’t break His promise. Read Genesis 16 and Genesis 17. Traditionally Ishmael is considered to be the “father” of the Arabs. Later we’ll read about Jacob’s twelve sons becoming the twelve tribes of Israel. Ishmael has twelve sons which became twelve tribes in Assyria and Egypt. When we read about Joseph, we’ll read about him being sold to Ishmaelites. Read Genesis 19:15-26. This is the next morning. The angels are sent to destroy the city and to get Lot and his family out first. Read Genesis 18 and Genesis 19:15-29. Lot’s family becomes the Moabites and the Ammonites. Sarah says that everyone who hears about this will laugh. Did you laugh? Sometimes we don’t stop to think about Bible stories being real stories that happened to real people. Can you image a woman who is A LOT older than your grandmother being pregnant and having a baby after never having a baby her whole life and without doctors and special treatments, etc.? It is pretty crazy! Even with doctors and technology no one has come even close to having a baby as old as Sarah did. This is a really important story. Here are some things to remember. God does test us. When we are faced with something really hard, it shows what is really in our hearts. If God just gave us perfect lives, we would love Him for selfish reasons. We need to love God for who He really is. He is love; He is kind; He is just; He is powerful; He knows everything; He is in control; He is patient; He is faithful; He is trustworthy…What else do you know about who God is? God never asks us to do something He wasn’t willing to do Himself. This is one big example. God did give up His only Son to be killed for us. God never wanted Issac to be killed. He only wanted to see obedience in the heart of Abraham. Notice that Ishmael and Lot are both taken care of because of Abraham. If you are special to God, then those who are special to you are special to God and you can ask God to take care of them. One way to tell a false religion is that they don’t value human life. Christianity values people. We are to love others. That is the greatest commandment–love God, love others. In Islam for example, it is okay to kill sometimes. And if you kill for a “wrong” reason, you can make up for it by fasting. Why would you serve a god that cares more about you not eating than not killing? In Christianity, not only are we not to kill, but we are told even hating someone is like killing them. Another example is how rats are sacred in Hinduism. In India it is forbidden to kill a rat, so people starve because the rats eat their crops. Why would you serve a god who cares more about rats than you? Did you notice that God answered the servant’s prayer before he even prayed? Do you find it weird that Isaac and Rebekah get married without knowing each other first? In many parts of the world, a marriage arranged by parents is normal. The two are often given the choice, yes or no, but they may have only been introduced to the person. I have never known anyone to say no (even when the other person is not attractive at all) because they respect the choice of their families. In America we consider it wrong to marry a relative, and God gives some laws later about not marrying family members, but in some parts of the world it is normal to marry a cousin, even preferable. In America we think marriage is about falling in love, but all Christians should think of marriage as being arranged. All Christians should seek their heavenly Father’s choice in whom they should marry. Birth rights are something that were important historically. In many places throughout history the oldest son received all of the father’s land and property. It was of great value to have the rights of the first born. Esau didn’t value it and gave it away for food. I want you to notice one more thing. God had it planned from the beginning that Jacob would be the “father of Israel,” not Esau. It didn’t matter that Esau had been born first. Lots and lots of times in the Bible you will see God choose not the first and the “best” (according to the way people see it), but He will more often choose the last and least important to do His work and then they become very important. Read Genesis 27:1-10, 25-40. Scroll down to read both parts. Birthright is something we can only sort of understand. What about these blessings? Have you ever considered your words to be this powerful that you could direct the fate of whole groups of people? Now what do you think about the words you say? What kind of words should you be speaking? Jacob’s dream is another step in the covenant promise God made with His people. The covenant promise was given to Abraham, Isaac and Jacob. Jacob makes a vow to God. What deal does he make? It’s always a dangerous thing to make a vow to God. God will remember, but it’s easy for people to forget. Read Genesis 29:10-35. Jacob has gone to his uncle’s to find a wife. When the Bible talks about the tribes of Israel, they are the family groups started by each of these sons. Read Genesis 29:20-35 and Genesis 30:19-43. Laban tricked him and he has been working for him for free. I don’t understand it, but Jacob tricks him in the end and gets all of the best of Laban’s flocks and receives his payment. Laban doesn’t want him to leave because he knows God has blessed him for Jacob’s sake. He learns through “divination,” or the seeking of knowledge through supernatural means. God is the only one who knows the future. Demons can speak through some psychic and tell things that are currently happening that they can see, but they cannot know any future that God hasn’t revealed. Satan tricks by using demons and psychics to speak some truth about the present, but then after they have your trust, they can lie to you and trick you and lead you a in a wrong way. Satan is a liar, so you should never seek truth from him! Why would they believe a god is powerful if it can be picked up and stolen? This is another one of those weird parts of the Bible. God would have given that name to Jacob. Why make him wrestle for it? We talk about wrestling all night prayer until we get what we’ve asked for. It’s from this portion of the Bible. Here’s another question. Why not tell Issac to name him Israel in the first place? Why the name change? I don’t know. I’m just wondering. It’s okay to wonder. Read Genesis 37:1-11 and 19-36. Did Rachel die because she took the household gods? I guess we can’t know, but we do know that words are not meaningless. During these chapters Jacob reunites with Esau and then they go their separate ways in peace. Esau’s family becomes the Edomites, or the family of Edom. Read chapter 37. Now we are going to start the story of Joseph. Do you feel bad for Joseph’s brothers? I guess we don’t know for sure if Joseph was proud, but we know he could have kept his dreams to himself. He didn’t have to tell his brothers. He knew they wouldn’t like to hear they were bowing down to him. I’m sure being sold really knocked any pride out of him. Who was he sold to? (answer: the Ishmaelites) Remember Ishmael? Joseph was sold as a slave and put in prison. They seem like bad things but we see that God is still blessing him through it all. And soon we’ll learn the big plan. God doesn’t allow His children to be thrown in prison for no reason at all. He has purpose for His children’s lives. Try and think of an example in your family when something that seemed bad turned out good. What was God’s purpose? They will be part of the twelve tribes of Israel. The last verse sets up the climax of the story. See how God was in control of this whole thing. He sent the famine. He sent it for many reasons. He had Joseph in place for it. He sent the plentiful years first. He gave Joseph the wisdom with what to do with them. He was sold as a slave for a reason. Your life isn’t a series of accidents. God is in control and has a purpose, a purpose for your good. Romans 8:28 Jeremiah 29:11 These are two verses that you should have memorized. Why is he making his brothers get Benjamin? Why hasn’t he told them who he is? What do you think Joseph is doing? Read Genesis 43:11-32. Israel has finally agreed to let them go back to Egypt to buy more grain after they had already eaten all the grain they had brought. He took so long to agree because he was worried about Benjamin who had to travel with them this time. Now instead of favoring Joseph because he was Rachel’s son, he favors Benjamin because he was Rachel’s son. Israel/Jacob even left Simeon in prison all this time while they used up all of the grain instead of sending the brothers back right away to get him out of prison. All because he valued Benjamin more than Simeon. But the brothers act differently toward Benjamin. They are no longer jealous. They understand and are treating him as more important, saying they will place his life above theirs. Remember to see them as real people. They are real people. Can’t you hear him being frustrated saying verse 10? Read Genesis 44:1-11, 18-19, 33-34. He is testing them to see how they will treat his mother’s son, Benjamin. He sees they have changed their hearts and do not treat Benjamin the way they treated him. Some people say God only does the “good” stuff. He doesn’t send the bad stuff in our lives. But here Joseph is saying that God was in control of all the “bad” that happened to him, but when God is control He works it all out so it ends up being for your good. Joseph’s family didn’t know God was setting up the next phase of Israel’s history. They saw God providing for them during the famine and they saw God reuniting and healing their family, bringing them together when before there was hatred and jealousy. God is always at work in bigger ways than we can see. Governments still do this. They want to control people and they can do that by supplying their needs. If people need the government to supply their food, their housing, their education, their healthcare, etc. then the government in effect “owns” them. Governments have been known to raise taxes so the people become poor to the point of needing to be dependent on the government. Then the people becomes “slaves of the state.” But we have freedom in Christ to be slaves to no one. We serve the King alone and can rely on Him, a benevolent Master, to provide our food, our housing, our education, our healthcare, etc. Because of our faith, we can live free from fear of lack and will never become slaves. Did you know that Joseph’s body was a mummy buried in Egypt somewhere? Did you notice we started a new book? Exodus. EX in the beginning of a word means out like EXit. In Exodus the Israelites are going to come out of Egypt. The main character of the story now is going to be Moses. This is where his story is going to begin. Moses’ mother hides him by the river. Now she must have hid it near Pharaoh’s palace because Pharaoh’s daughter finds him and feels bad for him and wants to take care of him. And one of my favorite things in the whole Bible, Pharaoh’s daughter hires Moses’ own mother to take care of him. Read Exodus 1 and Exodus 2:1-10. A long time passes during Exodus 1. The book of EXodus is about the Israelites EXit from Egypt. He made things worse instead of better. God is going to use Moses to save, or deliver, the Israelites from the Egyptians but it’s not going to be by the power of man. Moses ends up living with the Midianites and marries one of them. This is happening about 40 years later. Read Exodus 3:1-10. We’ll read more about this day. He tries to deliver, or save, the Israelite himself, by his own power. He made a mess of his life. But God is going to use him to deliver the Israelites from the Egyptians, but it will be by the power of God. We’ll read more about the burning bush scene on day 61. Tell someone what God’s plan is. What are all of the instructions to Moses? Picture Moses being told to pick up the snake after he just ran away from it! Moses still doesn’t want the job. It always makes me feel good that God doesn’t give up on Moses at this point. He gives him Aaron to help him. You’ll see in the coming days how Aaron begins as the one who speaks and does everything, but Moses will find his confidence and it will switch. Moses is upset because God sent him to deliver his people from the Egyptians but instead he made things worse! He doesn’t know what’s about to happen. Can you empathize with Moses? Do you understand how he is feeling? God sent him with miracles and told him He was going to deliver the Israelites and Moses told the leaders of the Hebrews that God was going to deliver them, and then things just got worse. There was no deliverance. The Bible says that God is not slow the way we measure slowness. We always want the bad to end immediately and the good to come even sooner! God has bigger plans and is working out bigger and more important things than our immediate comfort. He loves us enough to make us wait for the deliverance. You may think sarcastically, oh great. But think of it this way. What happens to the child who never is allowed to ever be discomforted in any way, always gets what she wants and never has to suffer through discipline? Notice that Pharaoh’s magicians that practice evil magic could also turn water into blood. Notice that God allowed them only to make the plague worse! They couldn’t make it better! If they truly had power like God’s, they could have turned it back into water. Only God could end the plague. This was the first plague. It was totally against the culture, but God repeatedly chooses the younger brother. You’ll see it many more times. There is a plague of frogs and a plague of gnats all over Egypt. Pharaoh’s magicians can make more frogs, but they can’t make the dust turn into gnats like God did. The Israelites suffered through these first plagues it seemed. I’m sure after those plagues the Israelites had changed their minds about Moses and believed that God was using him to rescue them from the Egyptians. Do you think the plagues changed the attitudes of the Israelites toward Moses? In the rest of the chapter God sends a plague of boils, which are sores on your body, and a plague of hail. Pharaoh is being so unreasonable. They just want time off and he and his people are suffering so much. Remember this when you or your parents come across someone who is completely unreasonable that you can’t even understand it. Chances are that God is at work in your life to bring about something great! When death passed over the Israelites because of the lamb’s blood, that night we call the Passover. Death passed over them. Jesus died during the Jewish holiday of Passover. His last meal was the Passover supper and then he was killed. That’s why we call Jesus the Lamb of God. He was our Passover lamb. His blood covers us and makes it so death can pass over us and not touch us. Many things in the Old Testament reflect what is going to happen in the New Testament. Sometimes they seem so different, but they really are a perfect match! I don’t know how you organize and lead so many without technology! Everything happened as God had said. They plundered the Egyptians and He brought them out. That verse is exactly what happened; the Israelites defeated the Egyptian army without fighting. They only had to follow God. Look at these two verses again? That is what humans are like. We need to be thankful every day, so we don’t need a major problem to get our attention back on God. This type of bread the Israelites named manna, and they ate it every day for forty years until they came to the land God promised them. Realize how quickly again the Israelites complained to God and didn’t trust Him. Think about how you think when you get sick or something goes wrong. Are you quick to praise God that He will deliver you, or do you grumble? What is this talking about? Moses is talking to God on Mount Sinai (sigh-nigh). Only Aaron is allowed to come too. Every one else must be set apart as holy–they had to clean their clothes and make sure they didn’t do anything wrong just so that they could stand near the mountain. Anyone who touched the mountain would die. We’ll read more about this later, how God is holy and people cannot just go into His presence. That’s the most powerful thing that Jesus did. His death and resurrection makes it so that we can be made holy and can go into God’s presence. On the mountain God is going to give the law to Moses, the Ten Commandments. Read Romans 11:17-24. He’s comparing true Israel to an olive tree. Those who believe, as it says, are those who are God’s “treasured possession” and “priests” and “a holy nation.” That’s you if you believe! When it is talking about consecrating yourself, it means to set yourself apart for God. They were to be as pure and holy as they could be and present themselves to God. Today we are consecrated by the forgiveness of our sins and the filling of the Holy Spirit so that we are set apart as holy to live for God and not ourselves. *What are the Ten Commandments? Fill in the worksheet. You will finish it tomorrow. *What are the Ten Commandments? Fill in the worksheet. Finish your worksheet from Day 74. We are going to look again at the Ten Commandments and how some of them are “adjusted” in the New Testament. In Hebrews 4 it talks about the Sabbath rest. It says, by faith, those who believe have entered into the rest, a rest from their works. We do not have to work to earn our salvation. By faith we considered the work of our salvation accomplished by Christ on the cross. What comes next is the Law. We are not going to read the whole law given to the Israelites. There are more than 600 laws. They cover all sorts of things. Things like, “If your cow wanders away and falls into a hole on someone else’s land…” and tells you what should happen to be fair. What do verses 32 and 33 say they shouldn’t do? What happens if they do? What comes next is the Law. We are not going to read the whole law given to the Israelites. There are more than 600 laws. They cover all sorts of things. Things like, “If your cow wanders away and falls into a hole on someone else’s land…” and tells you what should happen to be fair. You’ll read just a little part today. What can you learn about what’s right and what’s wrong from the first 9 verses? In the Sabbath laws section it talks about not planting for a year. That’s actually good farming practice. Those who don’t do that wear out the land and it starts producing less and less. Find the water borders on the map. Read Exodus 24. Be on the lookout for strange and unusual things. Do you think they will keep their promise? Up on the mountain God gives Moses instructions for building him a place to live among the Israelites. It’s called a tabernacle. There are six chapters on instructions for how to build it, what to put inside it (for offering sacrifices and for honoring God’s presence) and for who can approach it and how. Here are a few pictures from a mini museum of what the tabernacle was like. Read Exodus 32:1-8 and 31-35. Up on the mountain God gives Moses instructions for building him a place to live among the Israelites. It’s called a tabernacle. There are six chapters on instructions for how to build it, what to put inside it (for offering sacrifices and for honoring God’s presence) and for who can approach it and how. Here are a few pictures from a mini museum of what the tabernacle was like. You can read next to the pictures a little about them. Do you remember what the Israelites promised before Moses went up the mountain (from day 77)? What do you think the Israelites are going to do? What do you think of Moses shining? Ever hear the song, “This Little Light of Mine”? I’ve had non-Christians tell me that I glowed. It makes me think of Moses and the light of Christ shining through me. Did you notice? We moved into new book. The rest of Exodus repeated all of the directions for the tabernacle while the people built it. God was very specific in how it should be done, what colors, what sizes. The tabernacle, the arc and the mercy seat were where God dwelled among the Israelites. And just like when God’s presence was on the mountain, anyone not invited and not made holy could not go into the tabernacle or they would die. That’s what Jesus did for us. He makes us holy so that we can be in God’s presence. That doesn’t mean we get to sin and still be with God. It means that we can can be holy through repentance and through the forgiveness we are offered because Jesus took our punishment for us by dying on the cross. In Leviticus we read about many more of the laws. In this chapter it talks about some of the offerings they are required to to make. When someone sinned, something had to be sacrificed, an animal was killed, so that the sin could be forgiven. In the New Testament we read, “The wages of sin is death.” Death is payment sin requires. That’s what Jesus did for us. He made the payment. We don’t sacrifice animals anymore because Jesus was the final sacrifice, great enough for all of us. When an offering was made, sometimes for sin, sometimes to say thank you, sometimes to celebrate a holiday, part of the animal was burnt (all the fat–God was keeping them healthy!) and part of the animal was given to the priest for him and his family to eat, and the rest the person making the offering got to keep/eat. There are very specific rules for all of it, which of course, the Israelites will soon break! Read Leviticus 6 and 7:22-38. Did you notice? We moved into new book. The rest of Exodus repeated all of the directions for the tabernacle while the people built it. God was very specific in how it should be done, what colors, what sizes. The tabernacle, the ark and the mercy seat were where God dwelled among the Israelites. And just like when God’s presence was on the mountain, anyone not invited and not made holy could not go into the tabernacle or they would die. That’s what Jesus did for us. He makes us holy so that we can be in God’s presence. That doesn’t mean we get to sin and still be with God. It means that we can can be holy through repentance and through the forgiveness we are offered because Jesus took our punishment for us by dying on the cross. Read Leviticus 11:1-3. These are the rules God set for the Israelites for what they could eat. The second one shows that the disciples didn’t just give up their diet that they had been trained on since youth. The second one, the vision, was used by God to teach Peter that God could “clean” a non-Jew. Just after this Peter goes to the home of a non-Jew, a Gentile, and preaches the gospel. Before, he wouldn’t have even gone into the home of a Gentile because it was “unclean.” But both of these show that the power of God is not found in food. Eating certain foods doesn’t make us “unclean”, unholy. Sin is what makes us unholy. What we skipped was a long list of rules for the Israelites to live by. This is a list of holidays the Israelites are to remember each year. You remember Passover, right? The Day of Atonement is when the Israelites’ sins are forgiven when a sacrifice is made on their behalf. They are to live in little huts for a week during the festival of booths. The part we skipped, you can go read sometime if you are interested. There are a lot more rules. Many of them are about how a man and woman are only for their husband or wife and no one or nothing else. Read Leviticus 23. This is a list of Israelites holidays ordained by God. On the Day of Atonement two goats are presented before the Lord for the forgiveness of sins for the people. One is sacrificed; one is called the scapegoat and symbolically carries the sins of the people into the desert. A scapegoat is one who takes the blame for others. What do you have that you don’t really own, that really belongs to God? Ask your parents about it. The Year of Jubilee is a really neat thing. God gave the Israelites their land, everything they have. It all comes from Him, so He can give and take away. He made a plan that every 50 years things are returned. If they had to sell their land, it is returned to them after 50 years. It also talks about if someone becomes poor that you are to help him. If you sell to him, you cannot sell it for a profit. Stores buy and then sell at a higher price. That’s how they make money. God forbids making money off the poor. He says sell it for the same price you bought it. God repeatedly shows His care for the poor. It’s one of the things I love about Him! It may seem like every religion takes care of the poor in some way. But in other religions people only take care of the poor for selfish reasons. They believe it helps them earn their way to heaven. They will only do it if they feel they need to make up for some sin. Christians do it out of love. We love God and love others. That’s our motivation for everything. What are some of the blessings promised to them when they obey? What are some the punishments promised them when they disobey? Knowing this, why do you think they continued to disobey? Did you notice we are in a new book now? It’s called Numbers. Can you guess why? Yep, there are a lot of numbers in the book. They count up everyone by family and keep records of everything. This is all significant as a record of history, but it’s not terribly exciting. The Israelites have reached part of the land that God promised them. Moses sends spies into the land to see what’s there. The Israelites have reached part of the land that God promised them, a land “flowing with milk and honey.” Moses sends spies into the land to see what’s there. The Nephilim are mentioned previously in Genesis 6:4, “The Nephilim were on the earth in those days–and also afterward–when the sons of God went to the daughters of men and had children by them. They were the heroes of old, men of renown.” We don’t know much else about them but in Numbers it seems to say that they are abnormally tall. You can ask your parents what they think about the Nephilim. I have wondered if the myths of the some of the Greek myths come from these. This is a bit of a long one today. Be patient to read it. Read Numbers 14:1-10, 26-45. This starts right after the Israelites hear that there are giants living in the land they are supposed to go and conquer and live in. When they realize they are going to be punished, they say, “Oh, we’ll obey now,” and they go up to fight, but that wasn’t what they were supposed to do. It was too late. They had gotten beaten in the battle. This is a long chapter. Read Numbers 14. Read Numbers 16:1-7, 28-35, 41-50. Do you have any guess why the Israelites didn’t fear God after those men were killed? We know they didn’t because they complained that Moses and Aaron had killed the Levites when God was the one who had done it. Then God punishes the Israelites and sends a plague. Thousands die until Aaron makes a sacrifice that they can be forgiven. These stories should teach you the fear of the Lord. He is holy and all powerful and we can’t treat Him any way we please. We know they didn’t because they complained that Moses and Aaron had killed the Levites when God was the one who had done it. Why do you think they still didn’t fear God? These stories should teach you the fear of the Lord. He is holy and all powerful and we can’t treat Him any way we please. This is the same God who sent Jesus. God is love, but God is holy. Jesus’s sacrifice made it so that we can be “priests,” we can enter the presence of the Lord, but we still can’t be like Korah and declare ourselves a position in the Church, in the body of Christ. There are many today who just print up a business card with the word “apostle” or “prophet” and expect others to follow them because of the title, when they were not ordained and sent by God to fulfill that position in the church. Those people need to learn the fear of the Lord! You read that Miriam, Moses’ sister died. Later in the chapter Aaron dies. The Israelites are complaining again about food and say it would have been better to have been killed than to die of thirst. Why don’t they believe God will provide for them?! There’s one reason to fast…to make sure food is never that important to you that you would complain against God and think it would have been better to be dead. This again teaches the fear of God. Moses knew God face to face. He obeyed all of these years. But one time disobeying what may seem a small thing, kept Moses from entering the promised land. The Israelites defeat one of the peoples living in Canaan. Another group, the Moabites, are afraid. Their king, Balak, tries to get God on their side by asking Balaam to curse the Israelites. The people were healed by looking at the snake on the pole. Of course God was the only one with the power to heal them, but He gave them something to show their trust and obedience. If they believed God’s command and were willing to obey, they showed it by looking at the snake and they were healed. This may not seem a significant chapter, but I wanted to point out something. It was really remarkable to have these daughters get the right to inherit land. Their father had died and he had no sons. God gives the land ownership to the man’s daughters. While men seem to rule everything and get all the rights, God doesn’t leave the women without hope. He provides for them and is thoughtful of them at all times. I want you to notice that women are given the right to own land in this chapter. It’s not heard of in most places in ancient times. God doesn’t leave them homeless just because they had no brother. He gives them land, the inheritance that would have gone to their brother if they had had one. God doesn’t forget about them just because they are women. He cares for everyone. The next two chapters are about the Israelites’ special days if you are interested in their holidays. Chapter 33 is about each place they camped as they moved around if you are interested in geography. We come to the book of Deuteronomy. In this book there is a retelling of Israel’s history. The whole book of Deuteronomy Moses is giving a speech. He reminds the Israelites of how God has taken care of them and of all of the promises He has made. He also reminds them of the laws and the consequences of disobeying. Towards the end he presents everyone with a choice. What is the choice? We have the same choice today. We’ve already broken God’s laws, but we can ask for forgiveness because of Jesus’ death for us. And we can ask for the Holy Spirit to fill us and help us live according to God’s Word. Moses dies and Joshua becomes Israel’s leader. He sends spies into Jericho and then leads all of Israel across the Jordan River. Find the Jordan and Jericho on the map. The Jordan runs between the Sea of Galilee and the Dead Sea. Jericho is just north of the Dead Sea. Read Joshua 2:1-14 and Joshua 3:14-17. Find Jericho and the Jordan River on the map. The Jordan runs between the Sea of Galilee and the Dead Sea. Jericho is just north of the Dead Sea. He is stoned to death because he disobeyed. They obey God’s commands. Do you think they defeat them this time? Five kings join together to attack. God tells Joshua that he will win. They surprise attack them. We know now that the sun always stands still. It’s the earth that’s moving. It was just an expression that the sun stood still. Joshua was asking that night wouldn’t fall until the battle was over. Maybe the Lord provided the light Himself for the Israelites that day, to make it light all night. Or, maybe the earth could have stopped spinning. If God spoke the universe into existence, then he can control it by His word as well. Five kings band together to attack. God tells Joshua that they will win. We know now that the sun always stands still. It’s the earth that’s moving. It was just an expression to say that the sun stood still. Joshua was asking that night wouldn’t fall until the battle was over. Maybe the Lord provided the light Himself for the Israelites that day, to make it light all night. Or, maybe the earth could have stopped spinning. It’s a law of physics that objects in motion tend to stay in motion. If the earth suddenly stopped spinning, the people, animals, trees, buildings, etc. would have kept moving and flown right off! However, if God spoke the universe into existence, then He can control it by His word as well. God is not bound by the laws of physics. He made an ax head float. Jesus and Elijah just lifted off into heaven. God is big enough and powerful enough to make the earth stand still without it causing catastrophes. It was light all day and all night. What does verse 14 say was remarkable about that? Joshua is about to die. He reminds Israel what God has done for them. You’ll see that we’ve started a new book. Joshua dies and they don’t have a leader except the Lord. If they didn’t keep disobeying and following other gods, then they wouldn’t have to keep being tested, God would give them rest. The first verse mentions Ehud. He was the previous judge of Israel. Israel sins, God punishes them, they cry out to God for help, God sends a judge to deliver them and teach them again what is right and wrong. Tell the story of how he finds out, what he does in the night, and how he checks with God to make sure. God showed them that it wasn’t their strength that won battles but His. Gideon has died and many other judges have ruled as Israel is in constant need of saving because they keep disobeying God. Samson is the next chosen deliverer of Israel. He falls in love with a Philistine woman. Israelites aren’t supposed to marry non-Israelites, but he does and God uses it as a way to get the Philistines, who at the time are ruling over Israel. Be careful whom you marry! It happens again! Read Judges 16:5-22. Again, the strongest man is weakened by a woman. It happens again! Read Judges 16:5-30. Israel has lost its way. They say they are the following the Lord, but they are all doing it in their own way and not following Him at all! Israel just gets worse and worse. Then a sin is revealed that everyone agrees is so bad that they all unite together to fight against those who committed it and together they clean up Israel and turn back to God. He sold his faith for some clothes and four ounces of silver. Many Christians today do the same thing. They think they can make their own version of what it means to be a Christian. But in doing so they are making their own god and not honoring the One True God at all. Can you think of any ways people do that? The rest of the story…Israel just gets worse and worse. Then a sin is revealed that everyone agrees is so bad that they all unite together to fight against those who committed it and together they clean up Israel and turn back to God. It was a big deal for Ruth to go with Naomi. In that culture a widow had no way to care for herself. She owned nothing. Ruth gave up the chance of remarrying and gaining a “life” again. Ruth is constantly going above and beyond. She offers grace in abundance to those around her throughout the story. Ruth goes to collect grain from a field so that she and Naomi have food to eat. God sees her to a field of a relative of Naomi’s. He blesses her in return for how she has cared for Naomi. Naomi recognizes that God has not abandoned her, He is caring for her. This is like a court scene. In the previous chapter Ruth reminds Boaz of the Jewish way of relatives obtaining the property and wives of the deceased in order to continue the family of the deceased. Boaz makes sure that the law is followed. Another relative has the first right to the land, but he doesn’t want the obligation. They have a child and Ruth becomes the great-grandmother of the future King David. Ruth prompts Boaz in the previous chapter to take action on the laws about relatives obtaining the property of the deceased and the laws of marrying the widow in order to produce heirs for the family of the deceased. Ruth, the non-Jew, is the one to prompt the Jews to obey their own laws. Boaz sees to it in chapter 4. The book of 1 Samuel is about, guess who? It starts with a woman named Hannah who has no children. She is at the house of the Lord at one of the times of sacrifice. She is crying. She promises the Lord that if she has a son, she will dedicate him to the Lord. The priest, Eli, sees her and tells her that she will receive whatever she is asking for. Hannah believes him and is soon pregnant. Read 1 Samuel 2:12-26 and 30-36. God says He’s going to raise up a new priest. Who do you think it’s going to be? The book of 1 Samuel is about, guess who? It starts with a woman named Hannah who has no children. She is at the house of the Lord at one of the times of sacrifice. She is crying. She promises the Lord that if she has a son, she will dedicate him to the Lord. The priest, Eli, sees her and thinks she’s a babbling drunk. When she tells him she is not, he tells her that she will receive whatever she is asking for. Hannah believes him and is soon pregnant. Any ideas why Eli doesn’t do anything about it? Who do you think the new priest will be? They decide to give the ark back to Israelites and send it to them with a sacrifice. Read 1 Samuel 5 and 6. Read 1 Samuel 8 and 1 Samuel 10:17-24. Samuel points out Israel’s sin in asking for a king. They and their king need to obey to keep the Lord from bringing disaster against them. If they follow verse 24, they will obey God. Why? How does fearing the Lord make someone obey? How does choosing in your heart to serve Him only make someone obey? How does remembering all He has done for you make you obey? Do you fear the Lord? Have you determined in your heart to serve Him only? Do you stop and remember what He has done for you? I don’t know how long it has been since Saul has been king. It’s not the end of his reign though. The first verse there just tells how long all together that he is king. Samuel tells him his kingdom is taken away and given to another. The true anointing was that “the Spirit of the Lord came upon David in power.” There are lots of people who talking about getting anointed and different anointings. There is only one anointing that you should ever want or that you will ever need and that’s the anointing of the Holy Spirit. He has all of the power you need to live a godly life in Christ Jesus and to worship the Lord and to serve others. How is David again in the king’s presence and gaining recognition in the kingdom? How is David again in the king’s presence and now gaining recognition in the kingdom? Here was a boy who was tending sheep. He had no dreams that he could ever even be near the king. Do you see how easy it is for God to change someone’s circumstances? Not that it is going to be easy for David. Not at all. But it’s easy for God to make the impossible happen. Read 1 Samuel 18:1-9, 20-30. In chapter 20 we read about what a close friendship David has with Saul’s son, Jonathan. Jonathan would be the natural next king because he is the eldest son of Saul. Yet even though he realizes David might be king instead, he is not the one who is jealous. He loves David and helps him by telling him he needs to leave because Saul is going to keep trying to kill David. David runs away. In the next chapters David is helped by some priests and fights some Philistines and wins. Saul kills the priests for helping David and continues to chase David even though he is fighting on Israel’s side against the Philistines. In chapter 20 we read about what a close friendship David has with Saul’s son, Jonathan. Jonathan would be the natural next king because he is the eldest son of Saul. Yet even though he realizes David will be king instead, he is not the one who is jealous. He loves David and helps him by telling him he needs to leave because Saul is going to keep trying to kill him. David runs away. Some people use the phrase, “Touch not the Lord’s anointed,” to say that no one can say anything against them because God has sent them. But if someone is not teaching the truth, they are not the Lord’s anointed; they are not sent by God. It’s okay to speak out against lies and false teachings! David marries two more women. He is leading a band of 600 men. David gets the chance to kill Saul again, but he doesn’t do it, again. David is living among the Philistines. The Philistines are going to attack Israel. Saul wanted to ask the Lord what would happen, as he normally would seek from the Lord before a battle, but the Lord will not answer him. So Saul gets an idea to ask Samuel, but Samuel had died. Saul, according to the Law of God, had gotten rid of all spiritists, psychics. People who say they can talk to the dead. Anyone who does this kind of work with spirits is supposed to be killed. The woman fears for her life. There are fake psychics who make things up and tell people what they want to hear. Horoscopes and fortune cookies are forms of this. Even if they are meaningless, it’s best to avoid them because Satan can use them to try and control your mind and make you think a certain way. There are real psychics who serve Satan and can communicate with demons. Demons can see things in the world now and know things from the past. They use those truths to convince people that the psychic really knows what she’s talking about. Then Satan can lie about what will happen in the future to control that person’s decisions and actions. Only God knows the future. Satan knows nothing of the future except what is written in the Bible. God allows a special circumstance. The woman gets a message from Samuel. Samuel gives one last prophecy, that Saul will die that day. There are fake psychics who make things up and tell people what they want to hear. Horoscopes and fortune cookies are forms of this. Even if they are meaningless, I think it’s best to avoid them because Satan can use them to try and control your mind and make you think a certain way. Do understand how that could happen? If it says something about a great opportunity will come your way and then an opportunity comes up that week, you may be more quick to take it if you paid attention to the horoscope, instead of seeking God’s wisdom about the decision. Seeking to speak to spirits is a very serious and dangerous sin. Ouiji boards and TV shows or movies that talk about that kind of stuff are not entertainment. It’s sin. Don’t be fascinated by it. It’s Satan playing tricks on people. That’s not fun. I’m going to tell you what happens over the next several chapters. Saul and Jonathan are killed in battle against the Philistines. David is made king in Hebron and rules of Judah, but the leader of Saul’s army makes one of Saul’s sons king over Israel. Israel is split. The two sides war for seven years. David grows stronger and stronger and the other side grows weaker and weaker. Finally, Israel is united under king David. Just like God made a covenant promise with Abraham that his people forever would be God’s people, God makes a covenant with David and promises that his son will rule after him and that David’s kingdom will be established forever through his descendants. God says he will punish David’s son, who will disobey, but He will not remove His love like He did from Saul. David does not understand that his first born son is not the one who will be king after him, nor does he understand that the everlasting kingdom will be a heavenly kingdom established by the Messiah. I like this in particular because this certainly was a time and place where the disabled were not part of the mainstream. David welcomes him, with crippled feet, to sit at his table. This chapter tells us Bathsheba’s father’s name. We can read several chapters later that his father, Bathsheba’s grandfather, was one of David’s advisors, someone David trusted to give him advice. He gave perfect advice. After he realizes what has happened, he leaves David and works for someone else who wants to be king in David’s place. That story is coming next. This chapter tells us Bathsheba’s father’s name. We can read several chapters later that his father, Bathsheba’s grandfather, was one of David’s advisers someone David trusted to give him advice. He gave perfect advice. After he realizes what has happened, he leaves David and works for someone else who wants to be king in David’s place. That story is coming next. Read 2 Samuel 13:23-31 and 33-38. Things are never going to be right again since David sinned. Read 2 Samuel 16:23 and 2 Samuel 17:1-14. Ahithophel was David’s advisor and became a traitor and joined Absalom. He always gave perfect advice. Hushai was a servant of David’s pretending to help Absalom. David sent him to keep Absalom from following Ahithophel’s advice. It would seem that Ahithophel’s sin was unforgiveness. We can’t know for sure, but it seems like God forgave David of his sin but Ahithophel did not, and it destroyed him. It may not seem like a sin, but we read that David felt guilty about it. He knew it was wrong. He wanted to know his strength, as if he knew what he could rely on in battle. He was acting as if he’d forgotten that with God on your side, you can fight with no people and still win! David prays to God and the plague ends. He was right that he could rely on God’s mercy. Read 1 Kings 1:28-40. We’ve entered a new book, Kings. What’s it going to be about? He is not David’s oldest son. Again, God is choosing who will be king and is not following the custom of the day where the eldest son would become king. Read 1 Kings 1:5-53. We’ve started a new book. We’re right in the middle of the Bible’s history books. King David has died and Solomon is ruling as king. Read 1 Kings 3:1-15. What is one thing about the temple that made an impression on you? Solomon works for 13 years to finish building the temple. Then he gathered everyone together to dedicate the temple to the Lord. You are going to read his prayer at the dedication. After 13 years the temple is finished. Read 1 Kings 8. The only reason Solomon doesn’t lose the kingdom himself is because of God’s promise to David and God’s love for David. It’s also the reason Solomon’s son, Rehoboam, will only rule over one of the twelve tribes of Israel. The tribe of Judah. That’s the tribe Jesus will come from. What’s wrong with all this stuff he got for himself? Read this portion of the law that Solomon forgot. What’s wrong with all this? Read this portion of the law. Read 1 Kings 11:1-14, and 23-26. Samson was the strongest man on earth and women were his downfall. Solomon was the wisest man on earth and women were his downfall. That shows you, young men, that you need to take every precaution to guard your heart, mind and eyes from fixing on any girl until the Lord shows you the one He has given you for marriage. And girls, you need to help them by not trying to attract their hearts, minds and eyes to you. You need to fix your heart, mind and eyes on Jesus and He’ll take care of the rest. A good wife is meant to build up her husband, not tear him down like the women in these stories. From now on it will talk about Judah and Israel, these two portions of formal Israel. They will be against each other now. Jeroboam is king over Israel. Rehoboam is king over Judah. The last we read, Ahab, married to Jezebel, was king in Israel. While Ahab is king in Israel, a new prophet comes on the scene, Elijah. In this chapter we read a prophecy and about several miracles. Read what James writes about Elijah in the New Testament. That means you, too, have the ability to pray with the same power. A few years have passed and Ahab is still king in Israel. Read 1 Kings 18:16-46. This is a long, but a famous story. Tell the story of the Mount Carmel challenge. Elijah doesn’t work; he has faith. He drenches the altar in water to show his faith in God’s ability. He prayers a simple prayer. Jezebel wants to kill Elijah. He runs away. God sends an angel to Elijah to feed him to prepare for a journey. God sends him far away, to Mount Sinai. We call that the remnant. There is always a remnant, a group of true believers. Never feel like you are alone in loving and serving God. God always has a people that He has kept for himself. He is in Beersheba and travels to Horeb, Mt. Sinai. Find them both on this map. The king of Israel, Ahab, and the king of Judah, Jehoshaphat, came together in an alliance to fight against Aram. Jehoshaphat asks that they inquire of the Lord before battle. Ahab has many false prophets who all say that he will have success. Jehoshaphat insists on having a prophet of the Lord come. They send for Micaiah. Usually the kings of Israel and Judah are at odds, but here they join together to fight someone else. It works, but the prophets seem to believe they are speaking for the Lord. Read 2 Kings 4:1-7, 38-44. Tell someone the three miracle stories you read about. Here are reminders: oil, stew, bread. Tell someone the the miracle stories in this chapter: oil, baby, life, stew, bread. The dipping in water wasn’t important. That didn’t do anything. It was the act of obeying that showed faith in the Word of God that was important. Naaman wasn’t an Israelite but a slave girl from Israel told his wife about Elisha. The Israelites are under siege. Do you remember what a siege is? It’s when the enemy army has you surrounded. You wait and see who can last the longest. The Israelites have run out of food. Everyone is starving. If anyone had any bread, it would sell for so much money because everyone would want it. There is a prophecy in the chapter you will read today that flour and grain would sell cheaply. Tell the story of the chapter. There is a list of kings that all do wrong and are eventually killed. Here read about Jehu. He was a king of Israel. He wasn’t one of the “good” kings, but God gave him the job of destroying what was left of Ahab’s family. Next we will read about a new king in Judah. Joash is only 7 years old when he becomes king. A priest, Jehoida, is leading Israel on Joash’s behalf and teaching Joash the right way to live. There is a list of kings that all do wrong and are eventually killed. Here read about Jehu. He was a king of Israel. He wasn’t one of the “good” kings, but God gave him the job of destroying what was left of Ahab’s family. Jezebel is killed at this time just as Elijah had prophesied about her. Assyria is ready to attack Judah. The king of Assyria says Judah’s God can do nothing. Hezekiah prays. What do you think will happen? Read about Manasseh’s grandson. His mother must have been a very good influence. The next book of the Bible is Chronicles. There is a first and second Chronicles. A chronicle is a history. This is a history record of what happened. It starts with a geneology, a list of names, starting with Adam and listing their children down through thousands of years. It also retells some of the stories we just read. When it retells stories, it often adds in more detail than we read before. Read this story from when Rehoboam was king, 2 Chronicles 12:1-12. This is one of my favorite chapters in the Bible. A huge army rises up against Judah. Jehosaphat prays. The army of Judah goes out singing and by the time they get to the battle, the other army is already dead. They didn’t have to fight. Israel no longer has a king. They have been conquered. Here is a map showing Persia during Cyrus’ rule. You can see what colors are his on the map key. It starts with the red, then it grows to the purple, then it grows to the light blue. He says that God has given him all the kingdoms on earth. That was the “whole world” to them. Read Ezra 3. The Israelites are celebrating their holidays again. Enemies of the Jews try to stop them from rebuilding the temple. They try to discourage them. They try to get laws in place to step them. Here is how the Israelites respond and how God helps them. King Darius responds that they should continue their work. Many Israelites are allowed to return to Jerusalem. Many Israelites return to Jerusalem. We are moving into another book, Nehemiah. The Israelites are again turning to God. They have collectively repented of marrying foreign wives who led them astray. Word gets back to Nehemiah about Jerusalem’s condition. They complete the wall and acknowledge that it was completed because God helped them. There is revival in Jerusalem. They are reading God’s law, confessing their sins and committing themselves to following the law and celebrating the Lord’s festivals. Tell someone what is happening in the story. Read Esther 9 and 10. Tell someone how the story ends. Day 181 Time to start Bible 2, New Testament.